My name is Jeff Wasserman and I am all of the above. Yes, I am a full time business owner with a passions for helping others, through Life Coaching and Talk Radio. I live a very full life, because I am living my dream. You may have found my personal web page while surfing the web for one of my businesses, or to learn more about my Life Coaching projects. I will share with you a little about myself as well as links to find my other sites. I grew up in Central Florida, went to high school and college in the Orlando area. Upon graduating college and getting married, I started several businesses in the Central Florida area. My businesses included media, retail, and horticulture. In 1995, I built Black Mountain Lodge in Dahlonega Georgia. In 1997, my life changed forever with the birth of twin girls. In 1999 I found my true calling, Life Coaching. While I have been providing ideas, support, advice and mentoring for years, this was the first time I was able to put a label on what I loved to do. In 2003, I sold Black Mountain Lodge to a religious organization for use as a retreat facility. This gave me the freedom to pursue my dream of being on the radio and promoting the Life Coach profession. As founder of a Life Coach training organization as well as a national trade organization, I spend most of my time on the road traveling and speaking. In 2003 & 2004, I hosted a local radio talk radio show on WGUN 1010 AM in Atlanta. I also opened Motivational Massage in Dahlonega, offering mind and body care. As a licensed massage therapist and professional Life Coach, it allowed me to combine two modalities in order to offer long term pain relief. Motivational Massage offers therapeutic care to clients referred by a medical professional only. In 2011, I embarked on the biggest Life Coaching project to date. After many years of thought, planning and dreaming, I purchased an RV and had it wrapped. On August 22nd, 2011the Life Coach Road Trip was officially underway. I traveled over 3,000 to the west coast, stopping along the way to speak and meet folks who were interested in improving their life. In January 2012, I will be in Los Angeles California, starting the trip back to Georgia. My travels will take me through Ft. Worth, Dallas, Houston, New Orleans, Mobile, Birmingham and Atlanta. The Life Coach Road Trip will continue throughout 2012. If you have ever heard me speak or listened to my radio show, you know I don't just talk Life Coaching, I live Life Coaching. I practice what I speak. I am living my dream, I am living my authentic life. As Thomas Leonard, the founder of Life Coaching use to say, I am living the perfect life.....for me. Please read more about my Life Coaching and future dreams below. If you would like to contact me, my office number is 706-864-5025 or you can email me at one of my business websites listed below. JSW Media offers a wide range of media services to select businesses. After 28 years, more than 80% of our business is repeat or referral from existing customers. We offer complete graphic art, production, printing, digital distribution, content management and monetization of digital content. 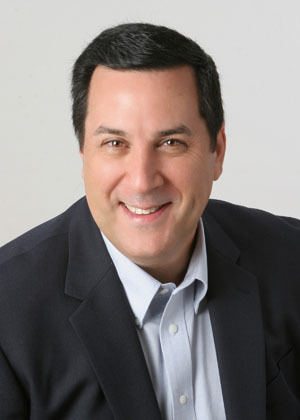 In February 2003, I founded Life Coach College to teach Life Coach skills in organizations and schools. Life Coach College quickly became the choice for professional coach training. We have been training the worlds top coaches since 2003. At Life Coach College, the focus is on the fundamentals of traditional coach training. For more information on Life Coach College or to sign up for our new training program for 2012, please visit LifeCoachCollege.com or call 1-800-841-8776. The Life Coach profession needed a voice, a spokesperson for the profession. After the passing of Thomas Leonard in February 2003, the profession was lacking a true leader, a visionary. With the support of other professional coaches and the resources from the media business, I launched the US Life Coach Association, commonly referred to as the USLCA. The USLCA offers coaches a voice, a home, a sense of belonging. The USLCA markets and promotes all member coaches as well as the Life Coaching profession. As founder and president of the US Life Coach Association, I am helping to shape the future of the Life Coaching profession. I created Life Coach News in 2001 to promote and educate the general public on self help, personal growth, self-improvement and Life Coaching. In 2005, the print edition of Life Coach News was phased out and today, Life Coach News is the leading on line information source for the Life Coaching profession. Over the years, several other Coaching organizations attempted to start coaching newspapers, magazines and websites, but today, few remain. Life Coach News has been a leader for over 10 years. 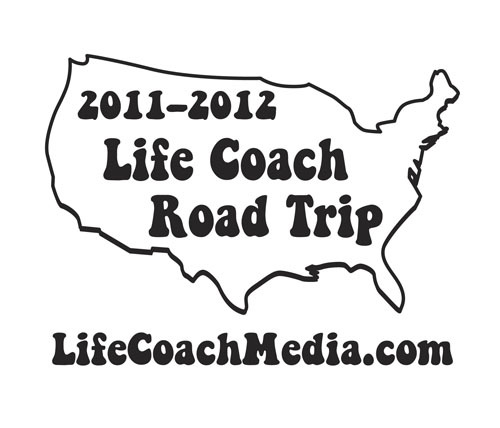 Although founded in 2001, Life Coach TV is currently being reformatted and will be launched in the spring of 2012. 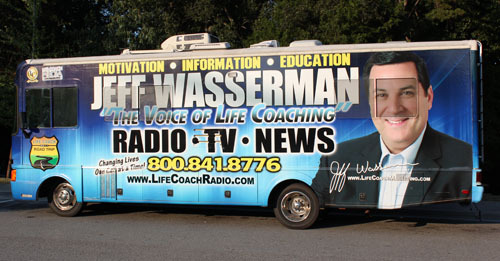 Life Coach TV will offer in depth interviews as well as coaching demonstrations and motivational segments, titled " Good News with Jeff Wasserman." This is my passion, Radio. When I was young, I loved to listen to talk radio. Other kids were listening to rock n roll, but I loved to listen to talk radio. I dreamed of sharing my ideas, visions and perspectives with others. I enjoyed listening to others talk as well as helping those who are looking for a new direction. When I was out of college, I dreamed of being on the radio and with my media background, felt it was a natural, but for whatever reason, my business grew and took me where I needed to be and provided me with a nice living along the way. In 2003, I had the opportunity to be on the radio in Atlanta. It was the greatest job I ever had in my life. The pay would not support a family, but the personal satisfaction was something only one could feel. It was hard to describe. After 18 months on the radio, the statio was sold to a religious media group and I felt it was time to focus my energy in a new direction. In 2005, I became involved in a hospitality management and construction situation and put my radio dreams on the back burner. In the fall of 2012, the show will become a weekday 60 minute show, and will be offered to commercial radio stations across the country. 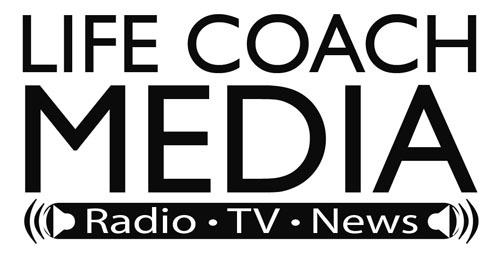 To group the Radio Show, Coast to Coast bus trip, Life Coach News and the new TV Project under one umbrella, Life Coach Media was formed. 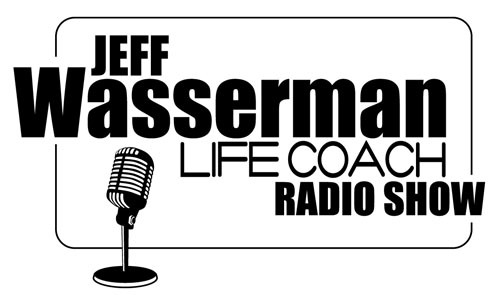 If you want to find out what Jeff's been up to or listen to his radio show, visit LifeCoachMedia.com for up to date information. What's ahead, where do I go from here? My dreams and visions for the future. My future plans include many projects. I am a man who has more dreams, ideas and visions than you can achieve in a lifetime. In the next 5 years, I plan to produce, distribute a talk radio show. My plan is offer the show on both traditional media outlets, commonly referred to in the business as "Terrestrial Radio" and on the internet at LifeCoachMedia.com. Once the show has found it's niche, I plan to launch one of the biggest projects of my life. I am going to open a themed restaurant based on Life Coaching, self help and personal development. The concept and menu have already been created and at this point, I am just looking for the best possible location to launch this next new venture. With years of hospitality and food service experience, my biggest challenge will be creating the perfect mixture of authors, motivational speakers and coaches to help launch the content that will be offered during your dining experience.